Hi, who is the prettiest woman of Vienna was the motto at yesterday's Miss competition in the Palazzo Vienna. But beauty is not the only thing which a future Miss has to offer. Eloquence and how good the contestants can represent the city or country are also important creteria in the Miss * contest. The winner 2010 is Sofie Schock, congratulation :) And the cool thing is, we have already modelled together :) Second place won Nina Bukowski and 3rd, which is also a great success, became Vedi Dumser, one of my favorites besides Sofie. The event was moderated by Hi Society Chili moderator Dominic Heinzl, who is famous (and feared) for his funny but also mean comments and interview style. So if you master Dominic, you can handle all interviews, which is a good training for the Misses. 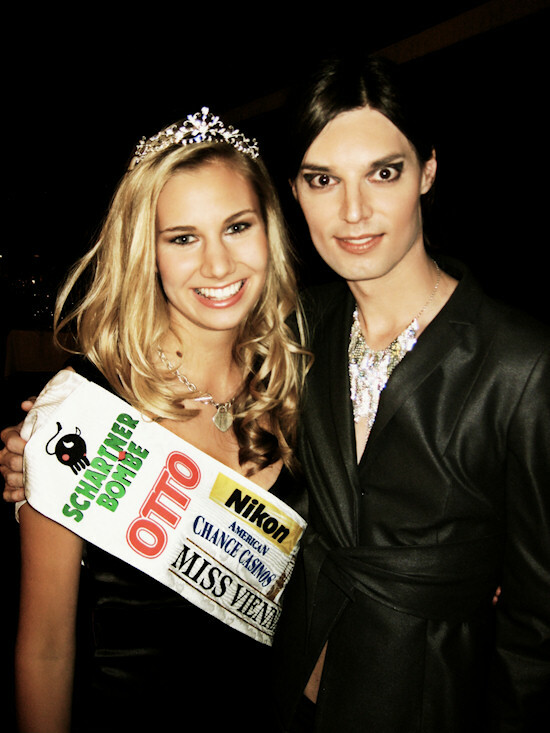 I wish Sofie good luck for the upcoming Miss Austria contest!